Finally got around to setting up a new blog (had been thinking about it for a couple of months). Seems like an issue faced by a lot of people regarding this handset, but I am 12 pages in and yet to see any reasonable response from Motorola (Lenovo?). Trust in this brand eroded and I will likely never buy their phones again. I find tiling helpful when I have to work with the contents of two windows at once, or when comparing things. 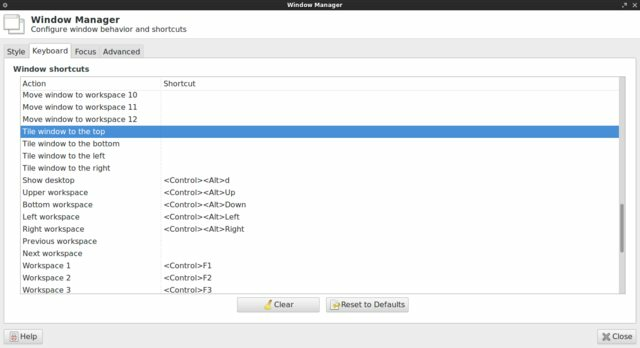 By native window tiling I mean that we will be using only the native commands of a particular window manager and not any external program. The modifiers above (Ctrl + Alt + Left/Right/Up/Down/Enter) should not conflict with existing modifiers, else they will not work correctly. The following can be added to ~/.config/openbox/rc.xml within the keyboard tags. The commands should already be present, only the keys need to be set. Using OpenRC on Arch / Archbang / Manjaro Linux. With the increasing complexity of systemd, I decided to look for alternatives. After some searching and experimentation, I settled upon OpenRC. OpenRC is a dependency based rc system that works with the system provided init program, normally sysvinit. 9) systemd-free.org (much more up to date than this blog). This installs the binary init system (sysvinit), and the base OpenRC scripts and configuration. The sysvinit package conflicts with the systemd-sysvcompat, so it will be necessary to remove it in order to install OpenRC. On installing openrc-base, OpenRC should boot by default instead of systemd. The boot logs are stored in /var/log/rc.log by default. For networking dhcpcd is enabled by default via netifrc, for more details have a look here. dhcpcd worked out of the box on my Arch install in a VM, but on my main laptop I use a Wifi connection, so I installed networkmanager-openrc from the openrc repo. Nowadays I am using wicd-openrc (available in the repo) as an alternative to networkmanager. By default, a graphical Display Manager is not enabled; for that one would need to install displaymanager-openrc, configure one’s display manager in /etc/conf.d/xdm, and enable and start the xdm service. I then installed alsa-utils-openrc for ALSA (audio) support, and acpid-openrc for acpi support. consolekit can be installed to perform root actions like shutting down or restarting system as non-root user from your Desktop Environment. After installing the consolekit service needs to be started and enabled. To enable the consolekit service, sudo rc-update add consolekit can be used. Consolekit supports multi-user setups, mounting of partitions by unauthorised users, shutting down the system as normal user, etc. See https://wiki.gentoo.org/wiki/ConsoleKit for more details. The services for the above packages can be enabled after installing. I also installed pm-utils for suspending and hibernating my laptop. If you were using systemd on a GPT partitioned hard disk, then you may need to enable swap via /etc/fstab. This is so because systemd handled swap automatically on GPT partitions, and gave error if it was mounted via fstab. Some commonly used services are ssh and cups, to install and enable them have a look here. This was due to my login manager (lxdm) not automatically starting a ck-session. I was advised by artoo to use lightdm as it has runtime detection; using lightdm worked. A patched version of lxdm also works. I have put it in the openrc repo and the AUR as lxdm-consolekit. With OpenRC being used as init system, the role of systemd is reduced to that of a udev provider, and for compatibility reasons. eudev, developed by the Gentoo folks, can be used as replacement. Note that removing systemd could cause incompatibilities with existing software, hence its advertised as being for advanced / minimalistic users. After the above step systemd would be uninstalled and replaced by eudev and its counterparts. I had to rebuild gvfs as my unmounted partitions were not being displayed (seems to have been solved due to using eudev-systemdcompat). Some packages now use certain systemd components like systemd-tmpfiles and systemd-sysusers while installing, to maintain compatibility the openrc-systemdcompat package from the repo can be installed. ISOs available, based on Manjaro Linux. Old pacman repo and instructions and replaced with new repo and new instructions. I have decided to scale back on the efforts of maintaining the repo mentioned at the beginning of the post, people who want to keep more up to date can consider updating their packages by building from the sources mentioned in the beginning. New repo setup in association with nous from Arch Linux; it succeeds the earlier repo. nous has been maintaining the openrc-eudev repo from some time now (systemd-free.org). I’ve been using Debian for some time now, and faced this problem and could not find a solution myself, neither could I find a clearcut solution on the net. Well now I’ve found it and would like to share it. My hardware clock (also known as BIOS clock) is set to local time. I like it to be set to local time, but if anyone wants to set it to Universal Time, I’ll explain about that also. while in Windows and most other operating systems its set to local time. We will use the hwclock command in the command prompt to configure the clock. This will show you the system time(Operating System time), Hardware clock time and whether hardware clock is set to localtime. By default in Debian Hardware clock is set to UTC. This will set the current system time to hardware clock and configure the hardware clock to localtime. I’ve tried editing /etc/default/rcS and setting UTC=no as posted on many sites but it did not work for me.